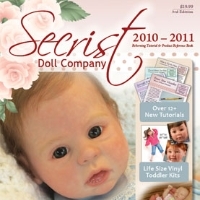 Easily insert eyelashes into your closed-eyed babies - making the eyelashes look more natural then ever! These special tweezers are used for closed-eyed babies. It easily sets the eyelash making it nice and straight in-between the closed eyelids. Most tweezers can only grasp one hair of an eyelash at a time. This makes it nearly impossible to hold the eyelash tight enough during installation causing the eyelash to twist and turn every direction except the one you want it to go. 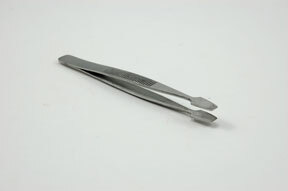 This tweezer grasps several hairs at a time because of its broad flat tip.